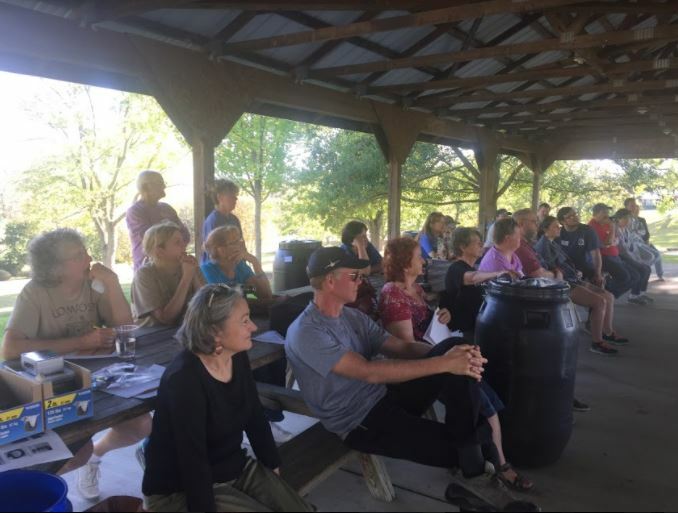 We all learned a lot about soil health and stormwater at our recent “make and take” Rain Barrel and Composter Workshop in Woodstock on October 22, 2017. It’s a pleasure to give gardeners and homeowners the tools they need to make a difference. Thanks to everyone who helped out and attended. Keep reading to learn more. 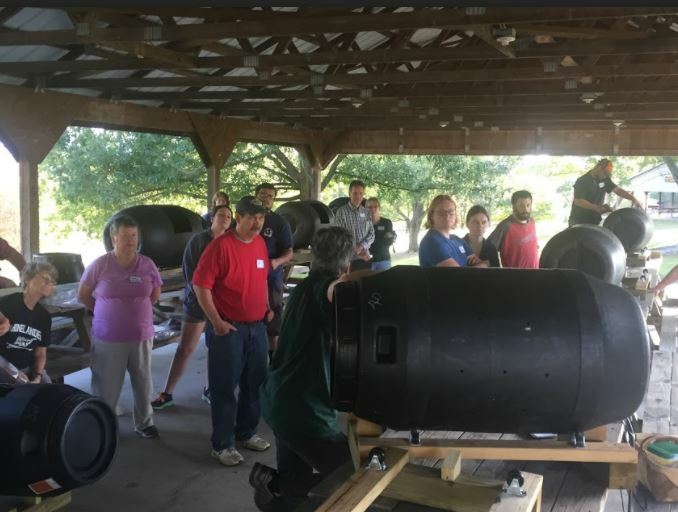 This event had two parts: the first half focused on building rain barrels and learning about storm water pollution; the second focused on rotating compost barrels and basic instructions on composting. 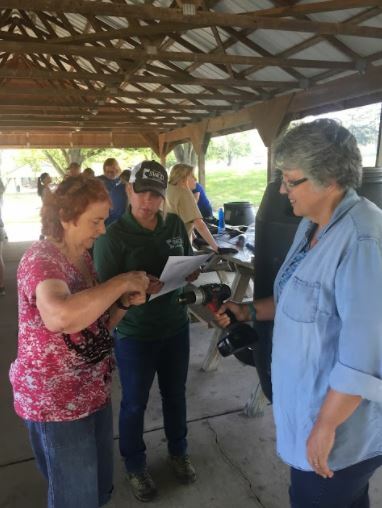 The workshop price of $45.00 was affordable thanks to a grant from the Pure Water Forum. 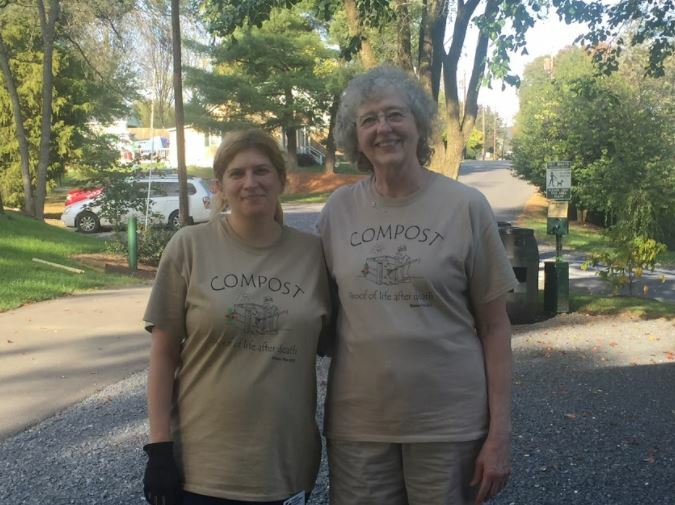 This workshop was a joint collaboration between the Northern Shenandoah Valley Master Gardeners, Friends of the North Fork, the Lord Fairfax Soil & Water Conservation District, and the Town of Woodstock. 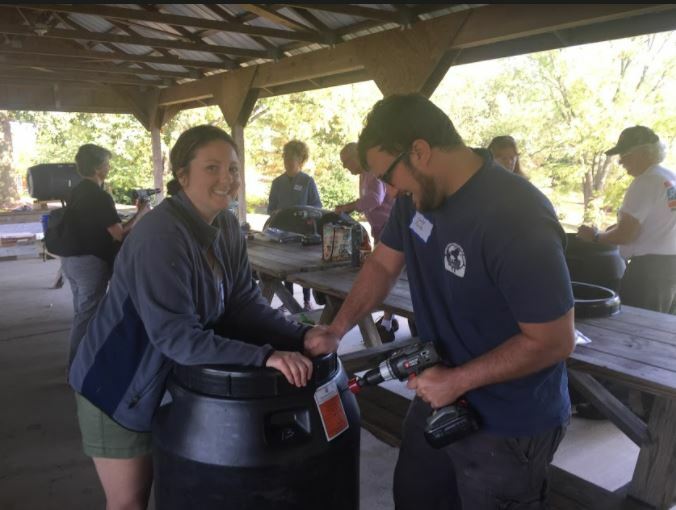 We are already planning our next rain barrel and composter workshop in June, as well as another rain barrel workshop in Shenandoah County. 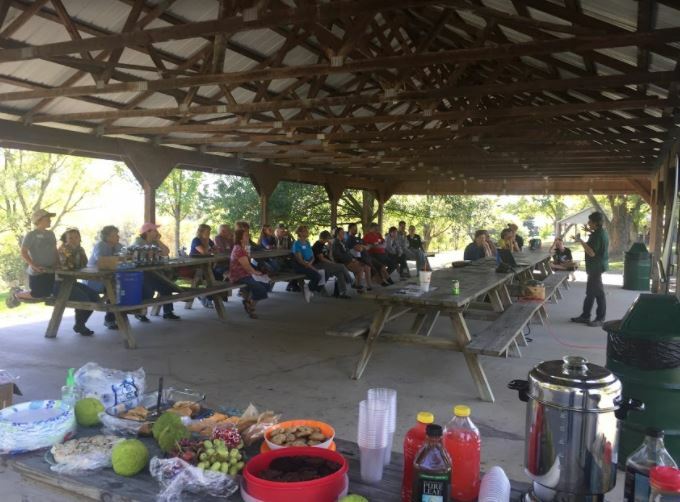 Our goal is to increase the number and diversity of local citizen steward and local governments that actively support and carry out conservation and restoration projects that achieve healthy local streams, rivers, and a vibrant Chesapeake Bay. 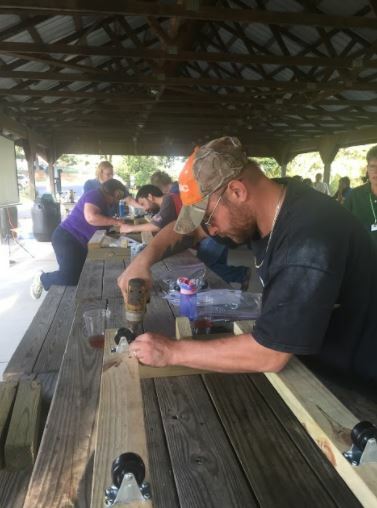 Let us know if your town or business would like to help host or sponsor a workshop!